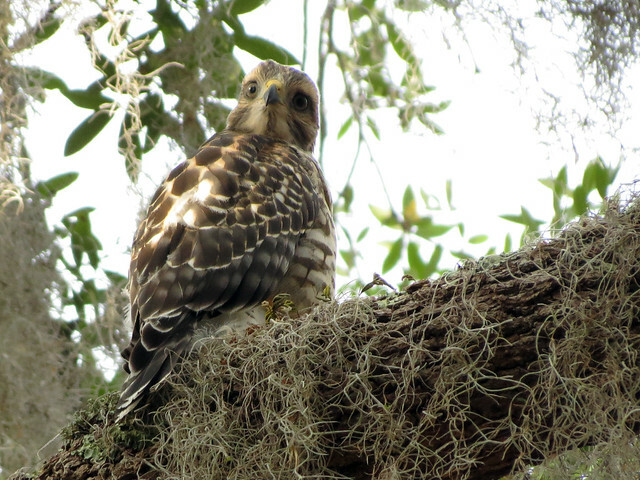 After finding the Barred Owl family at Gemini Springs on April 10th, somehow I found myself at the park nearly every day that followed, just to get another look at my favorite birds. 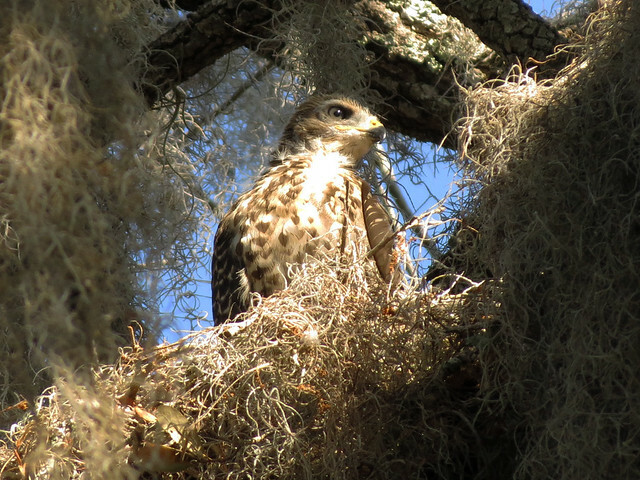 On April 11th Arthur and I overheard a park employee speaking with another visitor about a Red-shouldered Hawk nest. 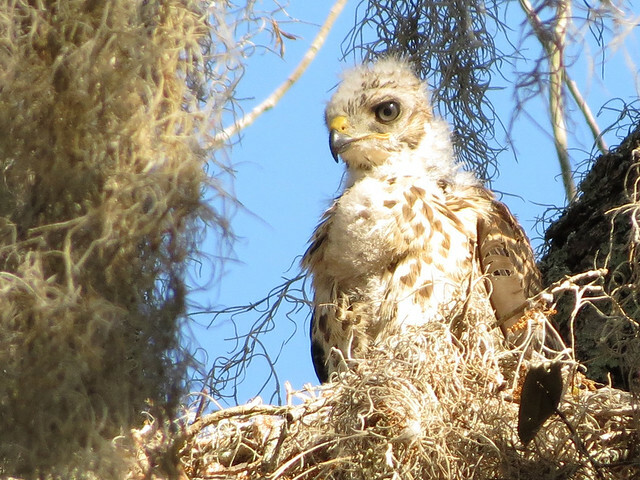 I’m kind of embarrassed to admit that the nest was in rather plain view, but somehow I had missed it until it was pointed out to us with at least two babies inside already becoming independent though not yet fledged. That first day, we only managed to see one baby, who looked to be very well fed (look at that crop!). 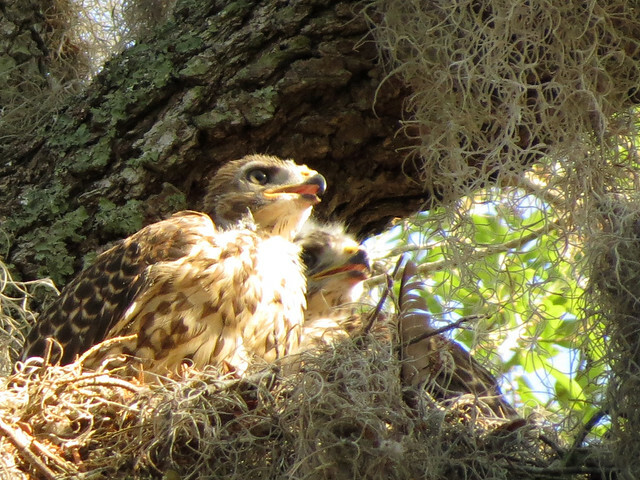 The park employee told us there were two babies on the nest. 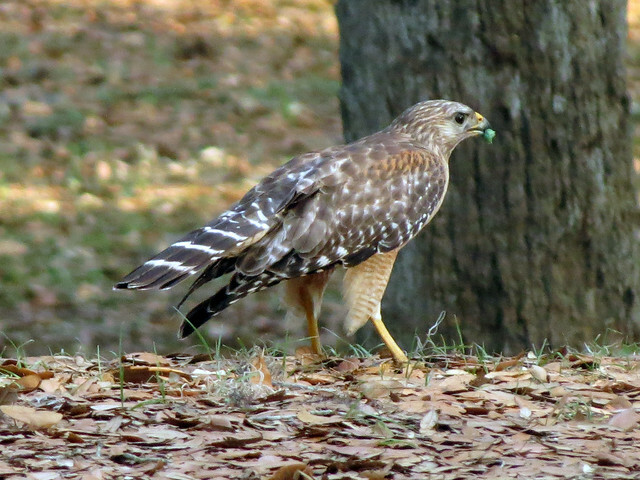 A few days later I watched one of the adults hunting. 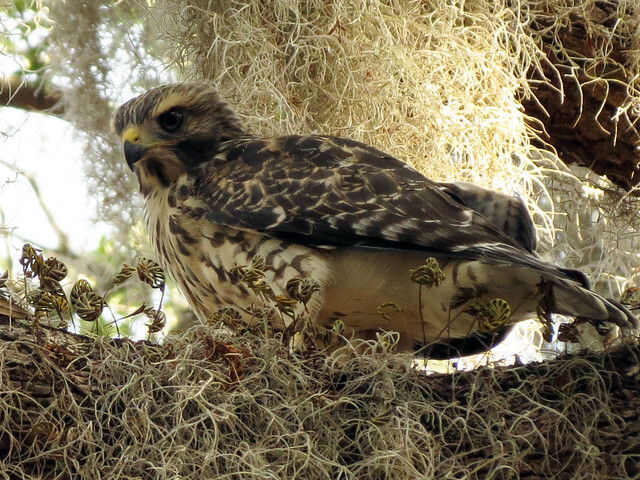 It caught and ate a bright green caterpillar but did not visit the nest while I was there. 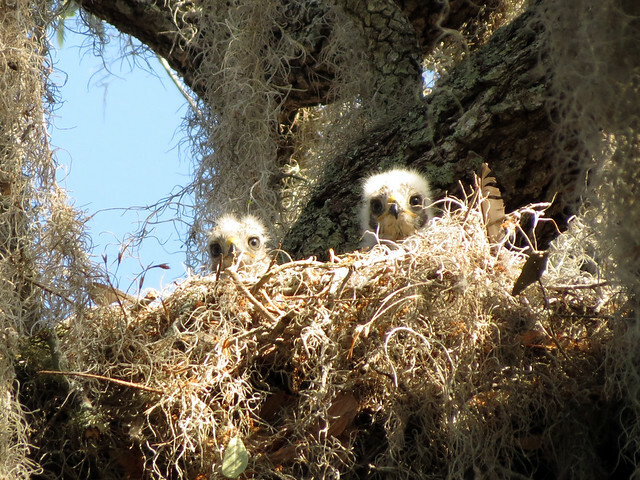 On April 16 I finally saw both babies in the nest. Oh my, aren’t they cute?! And again looking well-fed. Just four days later, they looked so different! I saw a parent deliver food to them a few times on this visit. 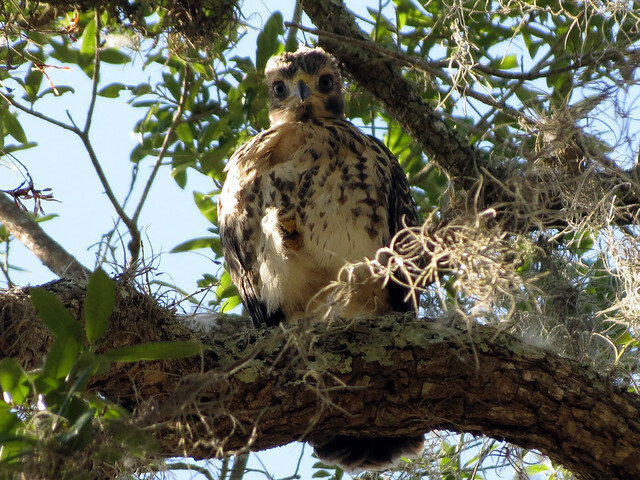 On April 23rd I again only managed to see one of the babies. 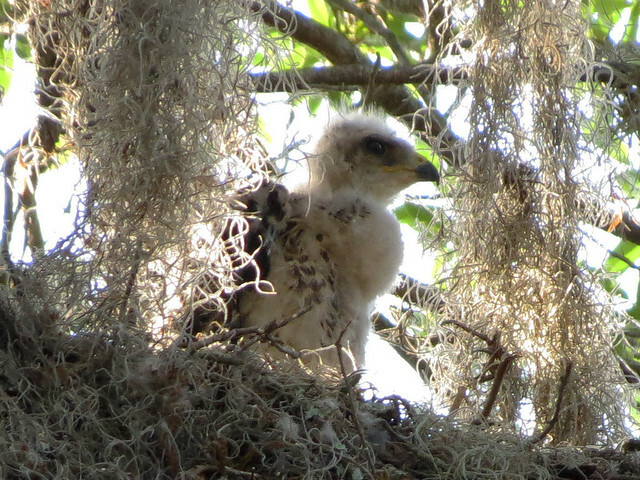 I later learned via a Facebook acquaintance that one of the babies probably fledged that day. 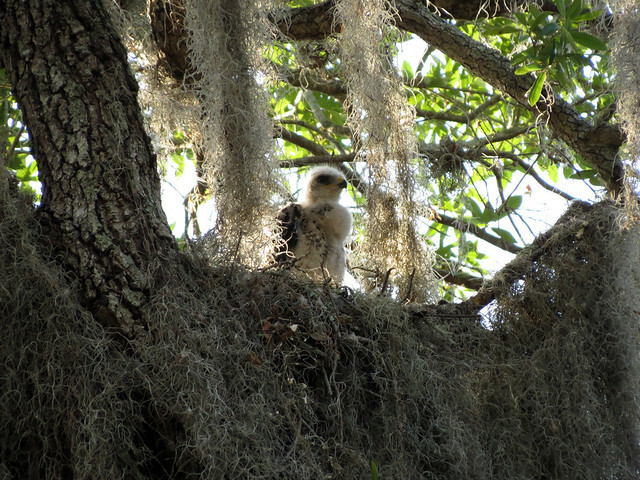 On April 24th there was still one baby hanging out in the nest tree, possibly pre-fledge. Today I lucked out by finding a juvenile fly into the nest tree with an adult. 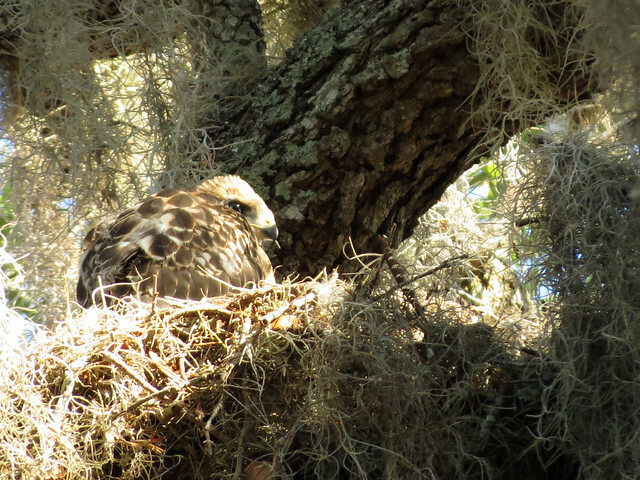 The adult took off immediately while the baby waited (and I got to take some photos). 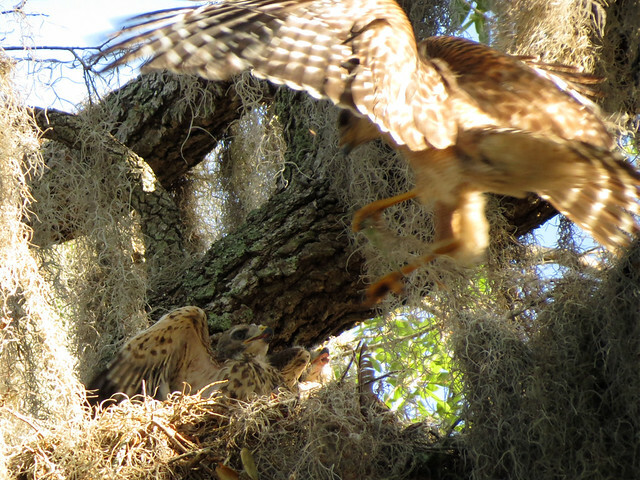 Good luck, beautiful baby Red-shouldered Hawks! 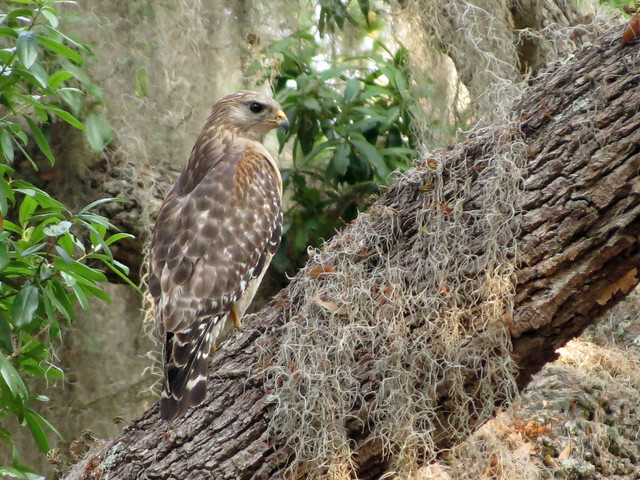 This entry was posted in Behavior, Gemini Springs, Volusia Birding. Bookmark the permalink.